Per my post yesterday, I’m officially training for a marathon in November and this week was the official start! I had 24 miles on my training plan, which included a few easy runs and my first progression run too. I also have been keeping up with my monthly challenges I picked and I hit a BodyPump class with Katie and another friend too. There was also some hill repeat work thrown in there too, but I opted to do a trail with Katie instead. Killed two birds with that one, easy and hills! Since I run every day, I split up some of the easy runs to keep my streak going, but I still ended up with 27 miles (and probably another 2-3 today) for a 29-30 mile week. I met a friend to run my progression run and it ended up being more of a steady state, keeping my effort pretty even throughout the course of the run. I ran for 48 minutes and ended up with 5 miles. I was pleased with that as it was a good solid run! 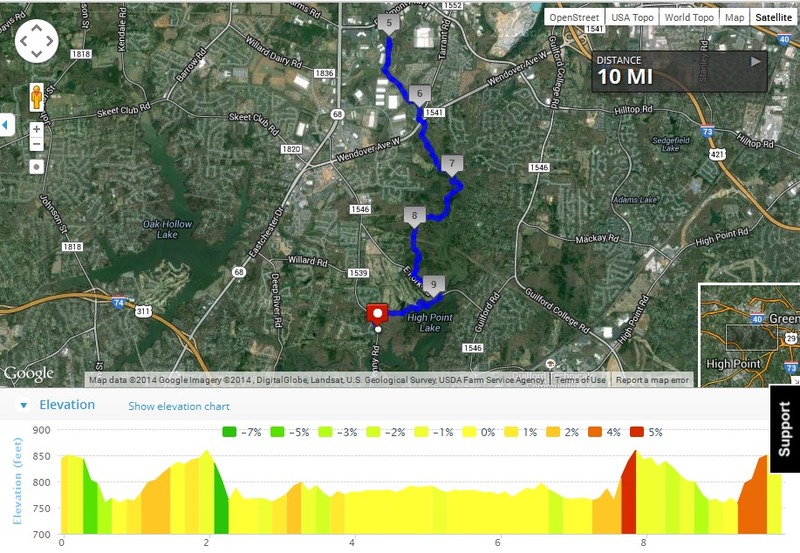 I ran long yesterday with a hilly 10 miler along the greenway in High Point. I haven’t been out there to run since 2010 and now I remember why!? It was good to run somewhere different and I had great company for the run. My watch died about .5 into the run so I ran on feeling alone and ended up running exactly the pace I need to run for pacing in September (2:15 group). I was so ecstatic to see that I could keep that without even wearing a watch especially on a hilly course in humid and hot conditions. Definitely celebrating that one! All the Earth Fare Athlete Ambassadors received our monthly newsletter and inside of the email, there was information about a contest. We could post a picture telling how we mix up our exercise routines to stay healthy. 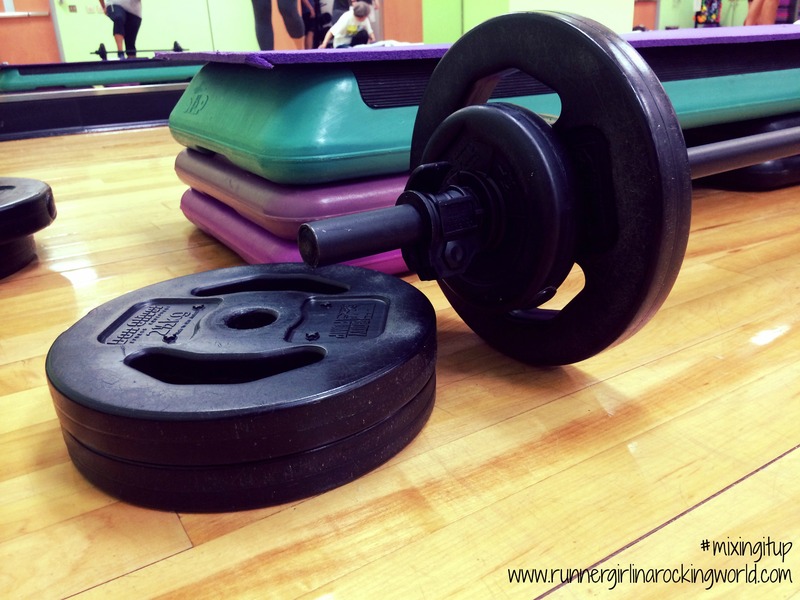 Since core work and weight training has made such great improvements in my running but also in my general fitness, I thought it was appropriate to include a picture from this week’s BodyPump class. That’s how I mix it up! ← I’m NEVER Doing That Again!